Reinstalled the whole thing 67 GB onto my Drive E.
After completion it toned down to 42GB. 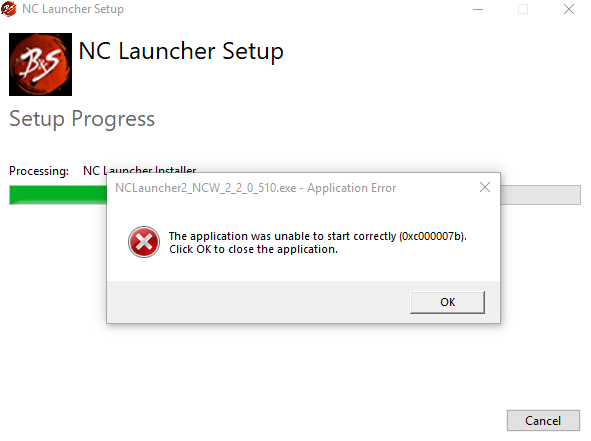 Copied the folders into my C drive (SSD) and tried to run the launcher. Ok, im still using the old version then. Can you give me a step by step on getting the new one? Sorry if i ask for too much. Reading some of these posts were cringy. I am not sure what the new launcher is trying to do but when I tried to install it it made me reinstall the game, which I was fine with until it wouldn't finish because it gave the error message of "not enough disk space" it had taken up 110gb of free space on my ssd. I always had BNS on my ssd with no issues and had 40gb of free space when it was originally downloaded. WTH is going on with this new launcher that we have to use starting in April? I am downloading the old version of the launcher and hoping that fixes it for now, but what about when we have no choice to use this wonderfully messed up junk. This launcher needs to be fixed by than. Tried and it didn't work. No idea what to do. the heck does this mean? 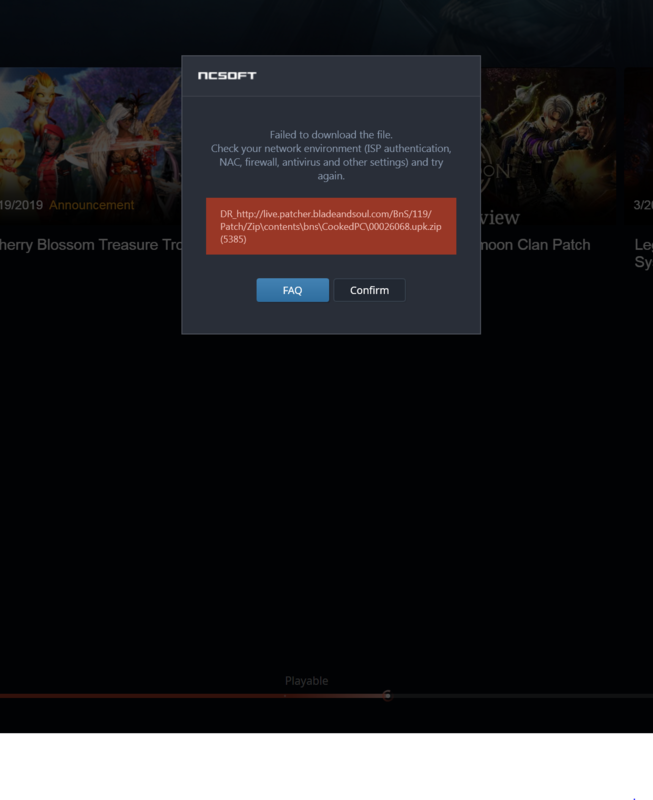 I can't install the game. After that I installed the game and everything is working fine. Still getting the popup to download the new launcher not doing that again until they make us. At first there was an Italian language pack which i picked and after installing i still got English when will we get some different languages. ; o; I didn't even get to the real "new" launcher, my game got wiped at that error pop-up. Also unlucky, I got a windows update, once it restarted none of my drives had bns files. Well I got it over with and installed new launcher, works so far. Just one thing: if I click on Blade & Soul from my start menu it still boots up the old launcher... So I manually uninstalled old launcher... Now the BnS shortcut simply doesn't work anymore since it still looks for the old launcher. Feels kinda sloppy that new launcher didn't simply replace the old one on install in the first place. Anyway, starting the game from new launcher works just fine for me so far. Without wanting to Re-download the whole game again. Follow this. 1. 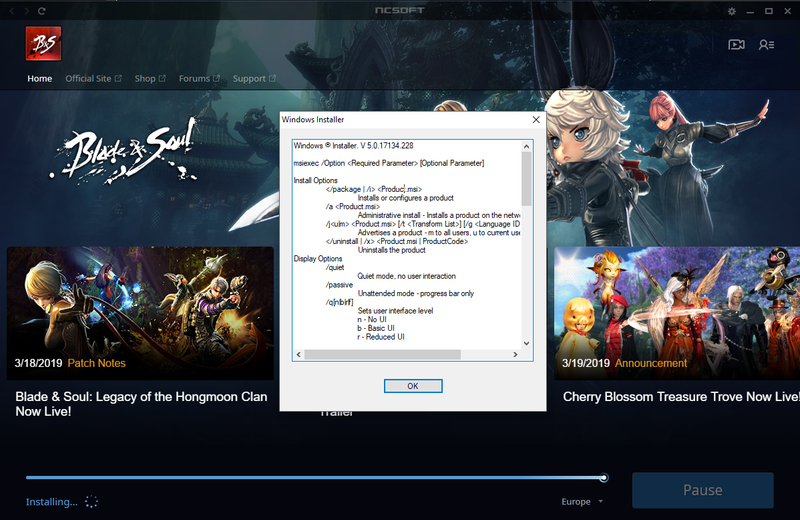 Go To Program Files, and Delete all NCSOFT Launcher 2 Related Programs. Do Not Delete your main game. 2. Locate your Blade & Soul Game Folder and Rename it to something else. 4. Run BnS_Lite, Redirect the installation to the same location where your original game is. but install it to a different folder. Warning: Do not run the Game from your newly created Icon on Desktop, that you just installed from BnS_Lite. You will Most likely get an error : "Windows is searching for NClauncher.exe"
6. After you downloaded the launcher. Now run the Game from Desktop. When you see Game is now Updating, Stop the Update. 7. Go where your Original Game Files are. Copy BNS Folder. and Paste it to the New Folder. Where you made it on Step 4. 8. Once copy-pasting is done. Close Launcher and Re-Open. Instead of seeing "Update". you will now see "play now", you can do File Repair for your own sake. but it should work without any needed. Just Press Play. and Volia. No Game Re-install Needed, If you are stuck on any of the instructions or you find it not clear enough, Feel free to ask. For me, Launcher 2 does not even open. Clicking it loads a bit and closes immediately. We are very sorry to hear this. Please reach out to our Support team, so they can take a look at each individual case and help you trouble shoot. You can submit a ticket via the Support tab above. I wonder how many who are unable to load the launcher or play the game are using Windows 10 1809. If you haven't been following on Microsoft related news, they plan to ditch that version of Windows and push us into the more recent April update. Why? Because October's 1809 was a bugged mess that did a lot of strange things, games included. If any of you is using 1809, do a search for ways to revert to 1803 and try installing BnS again. The rest is the usual driver/firmware updating and keeping your PC as clean as possible for gaming. I know this may not be the golden solution for everyone, but it's always worth trying other things when what's available doesn't work. Edit: Updating From Old Launcher to Launcher 2 Fixed the Problem.